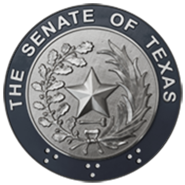 Monitor and evaluate the effectiveness of the Texas Integrated Enrollment Services in providing necessary services to Texans, and recommend any necessary research and legislative action. Analyze and identify significant problems in the Texas Integrated Enrollment Services and recommend action by the Health and Human Services Commissioner. Advise the Health and Human Services Commissioner in the development and implementation of a plan for the integration of services and functions relating to eligibility determination and service delivery by health and human services agencies, the Texas Workforce Commission, and other agencies. Review specific recommendations for legislation proposed by the Health and Human Services Commission.